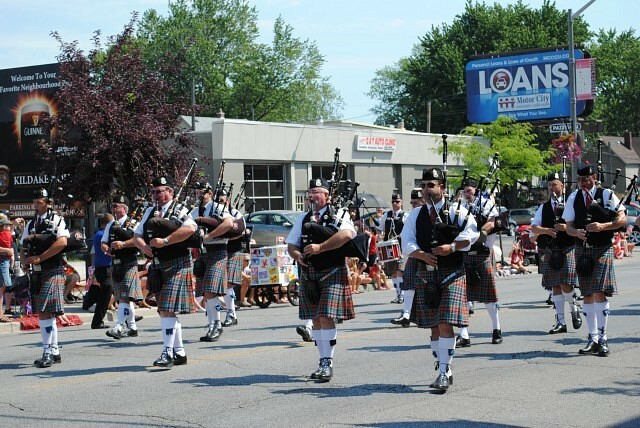 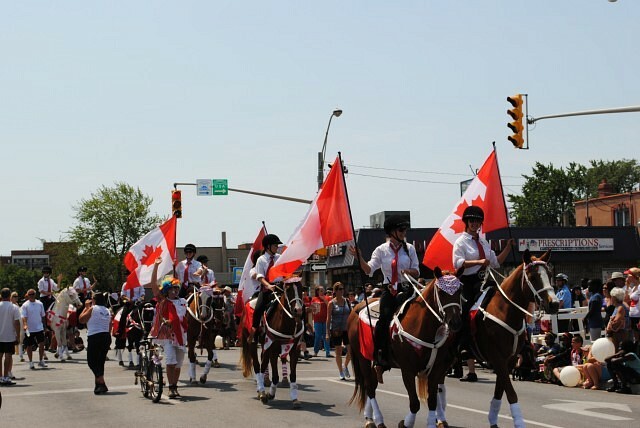 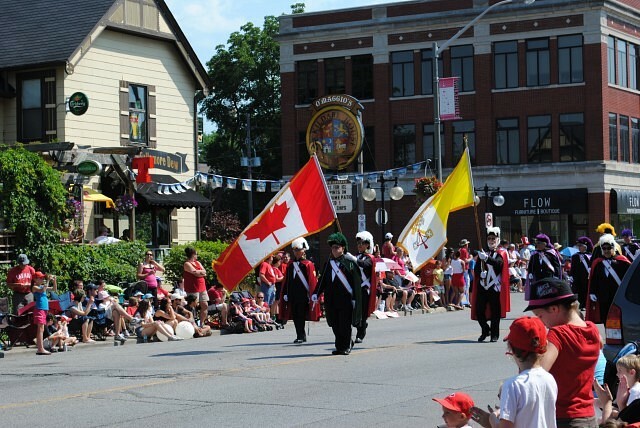 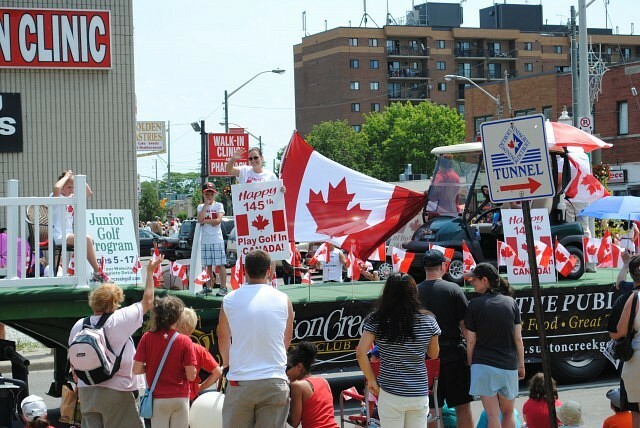 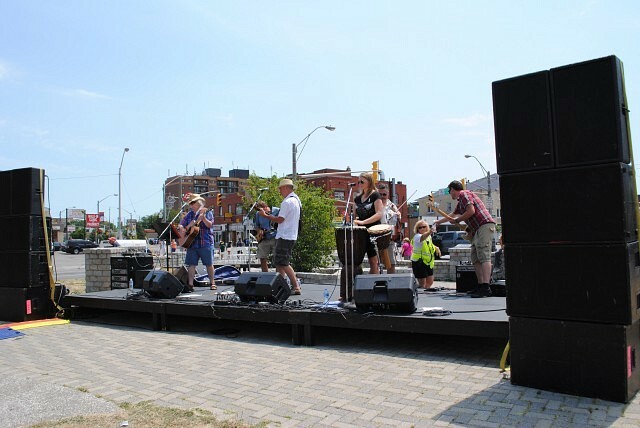 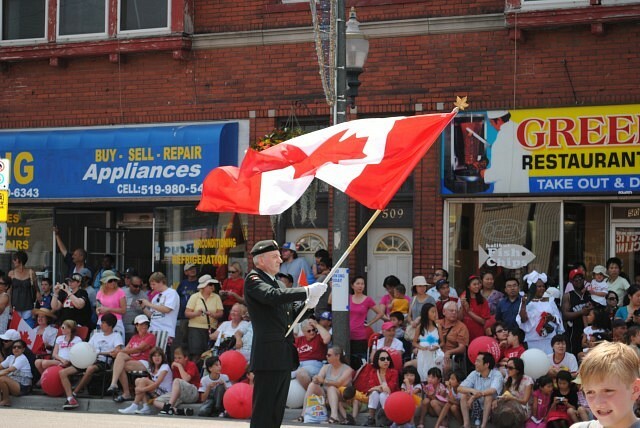 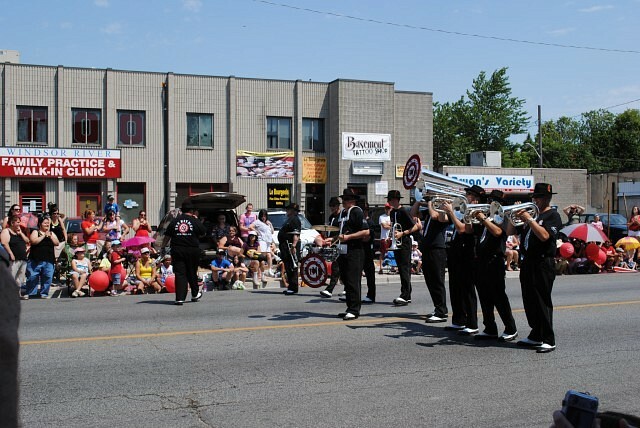 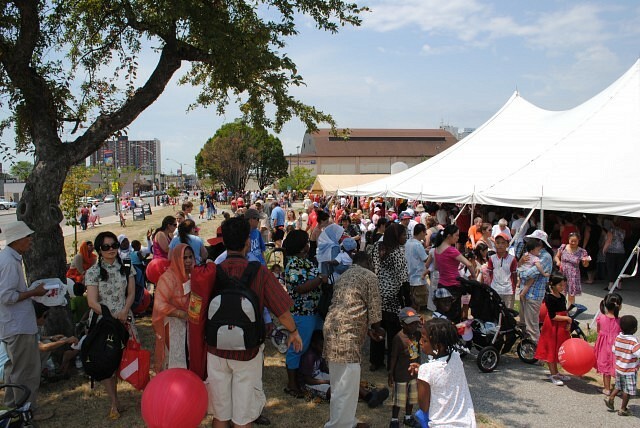 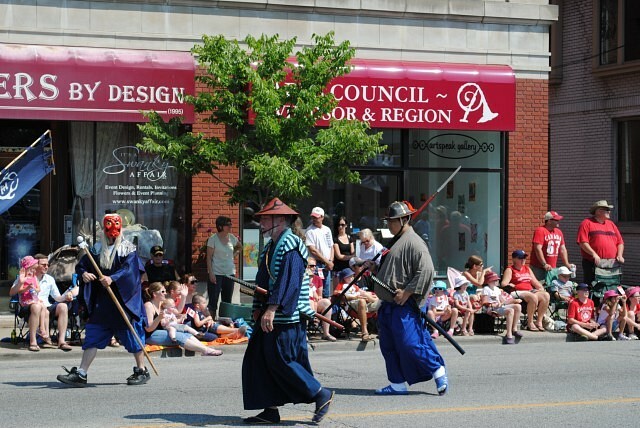 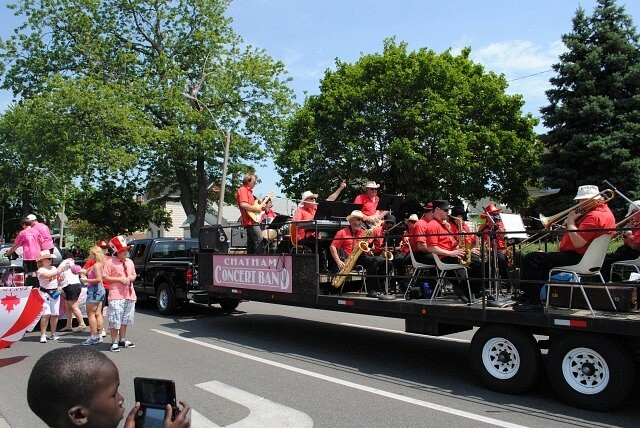 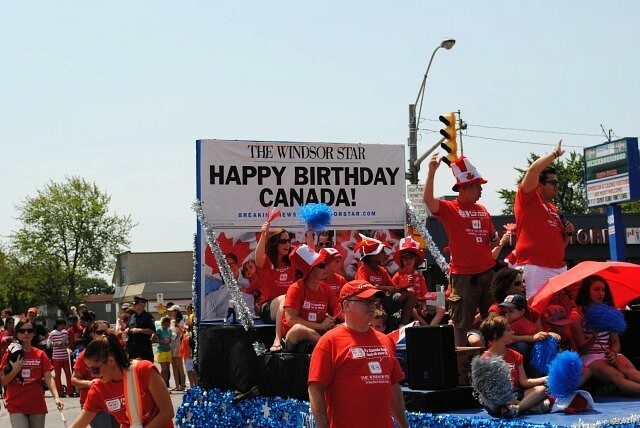 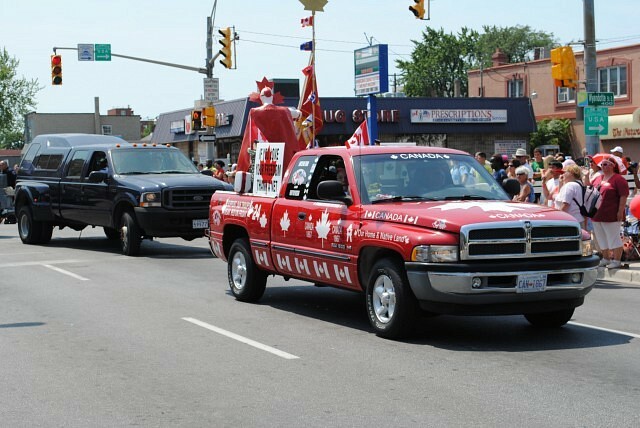 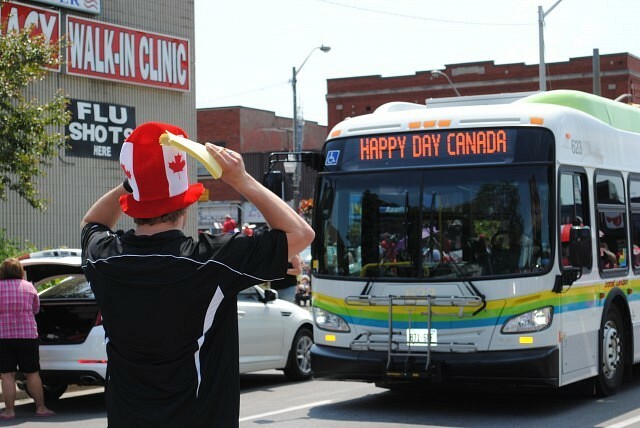 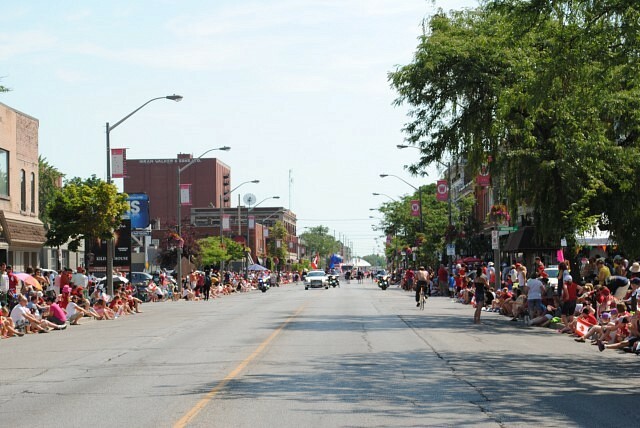 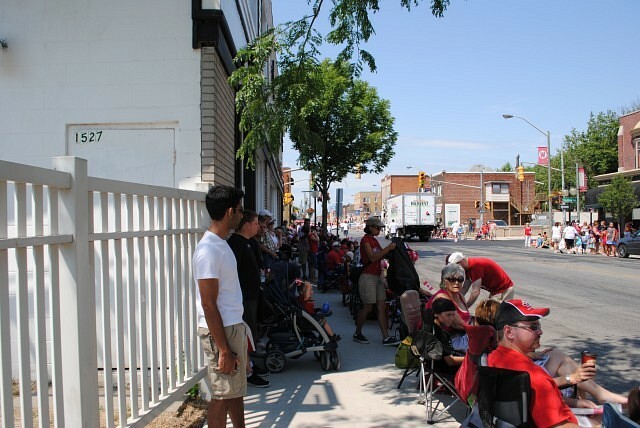 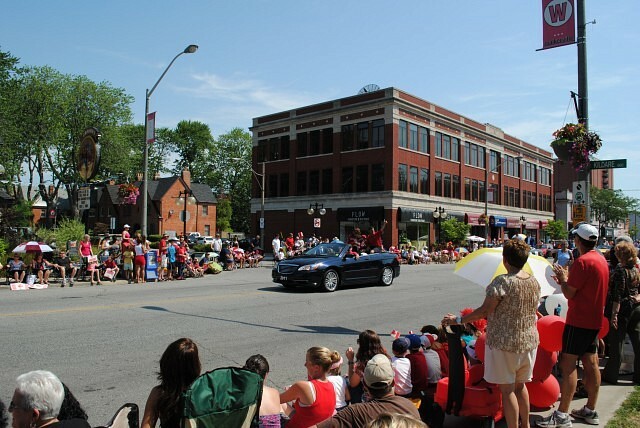 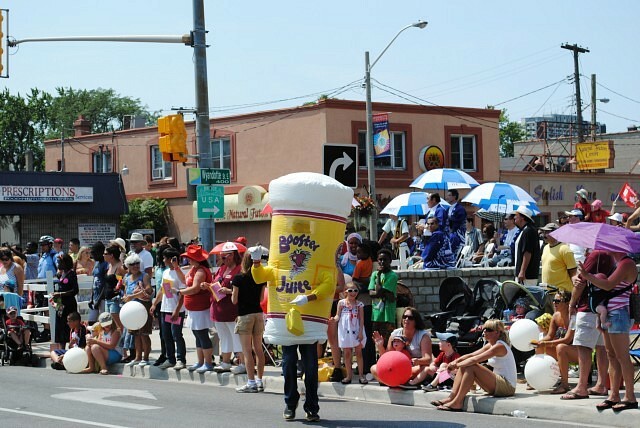 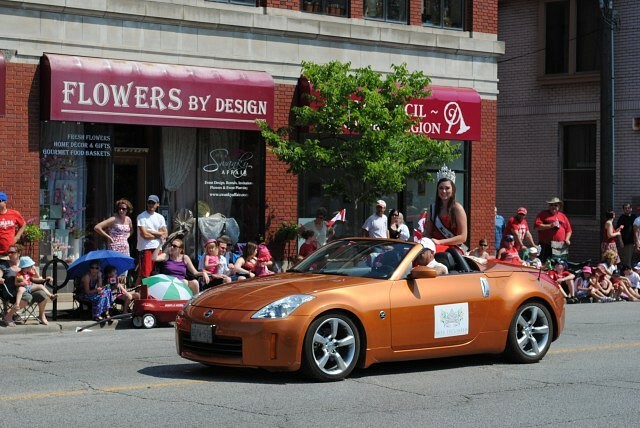 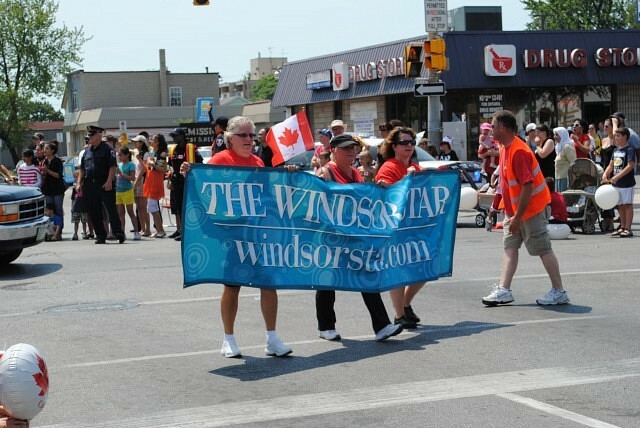 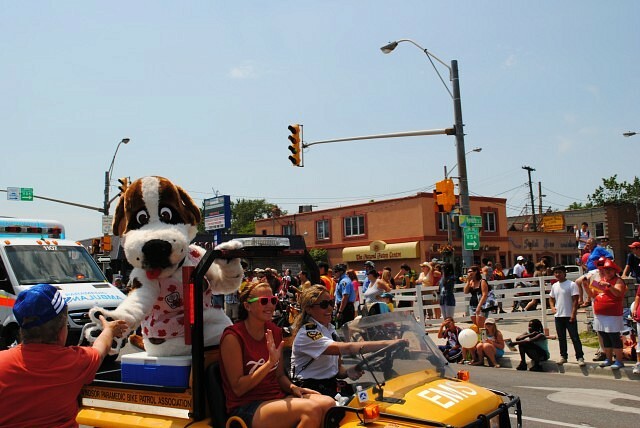 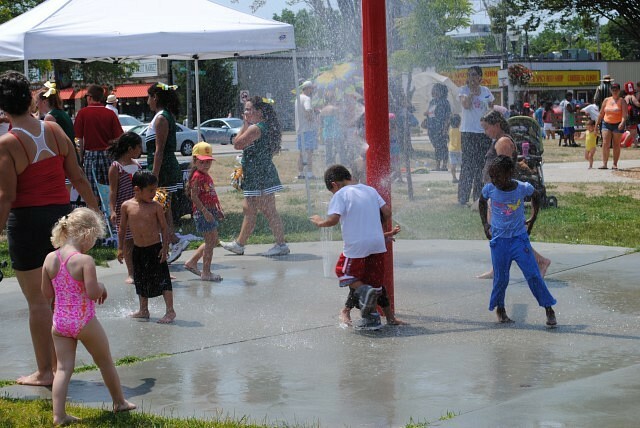 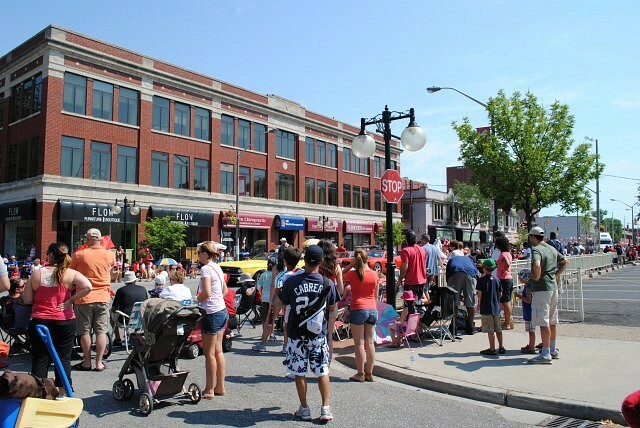 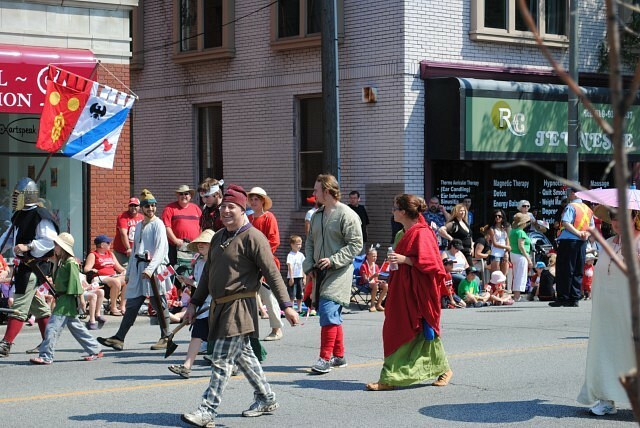 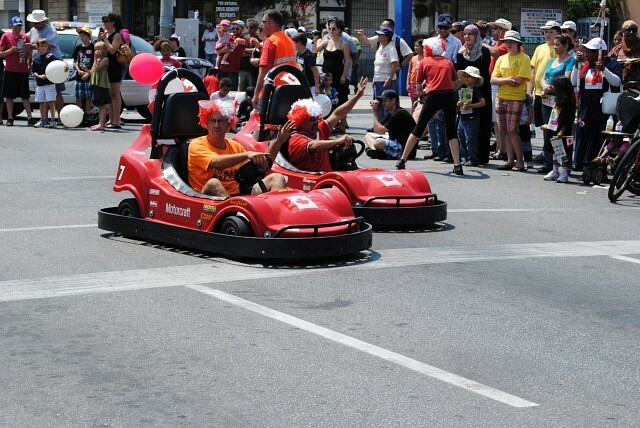 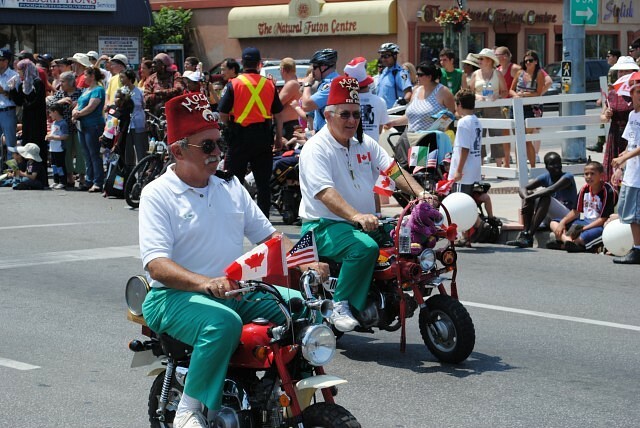 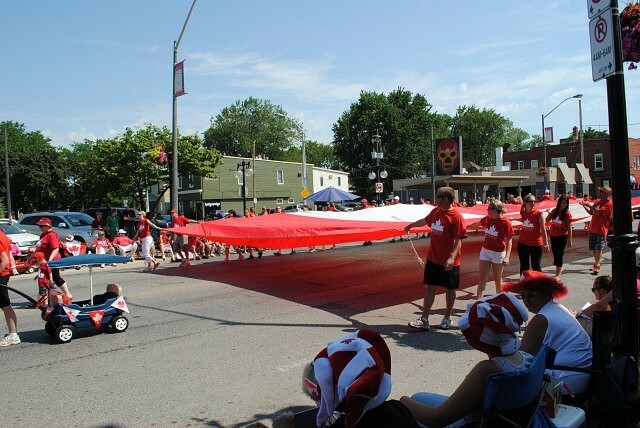 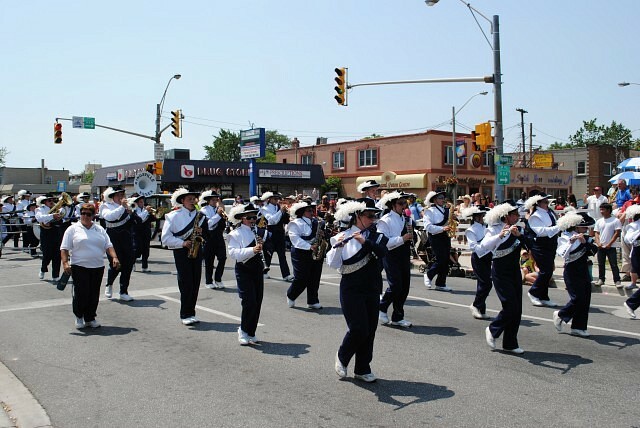 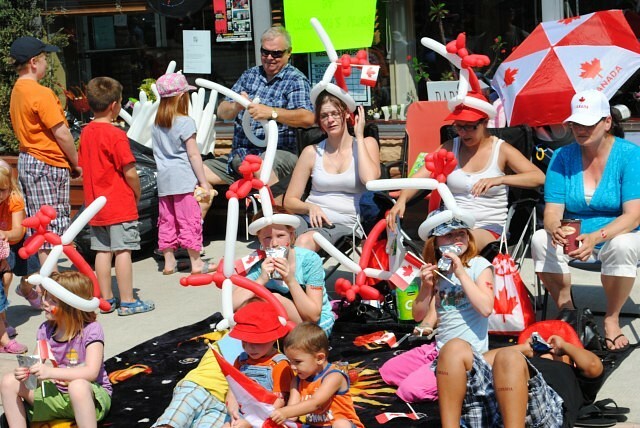 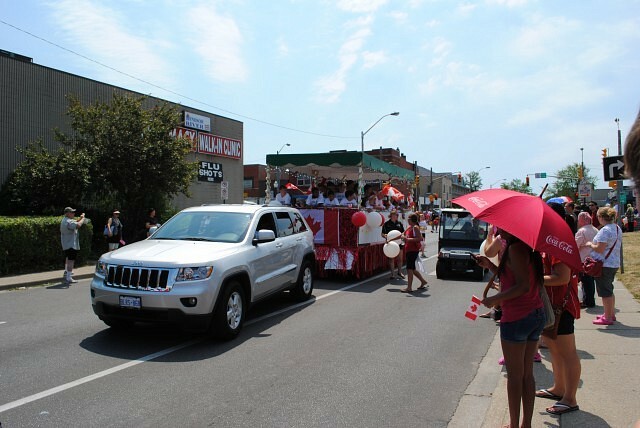 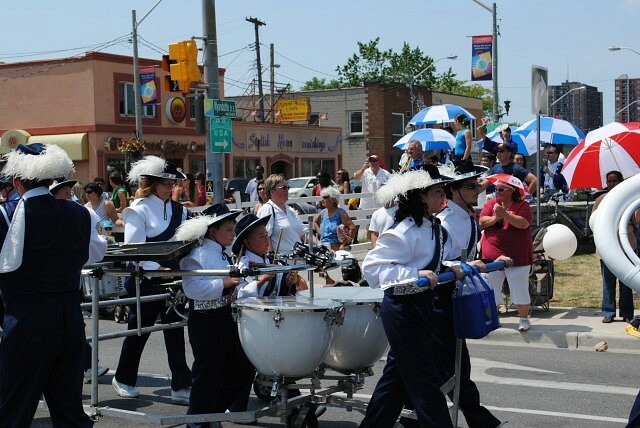 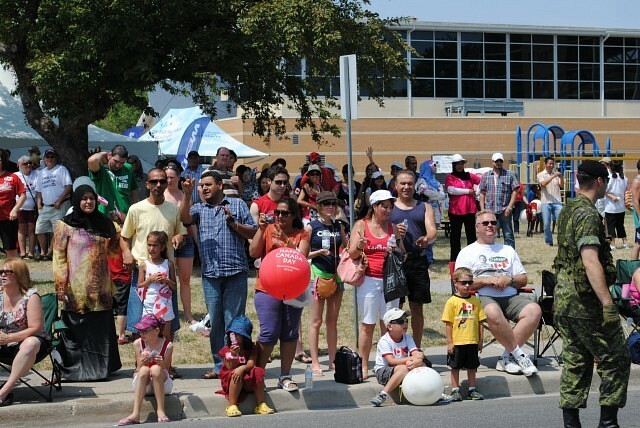 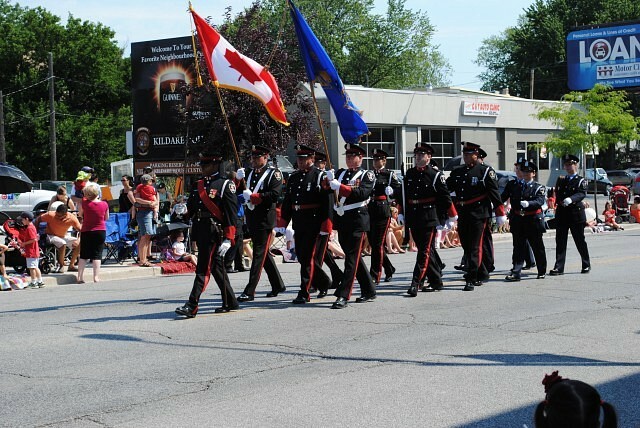 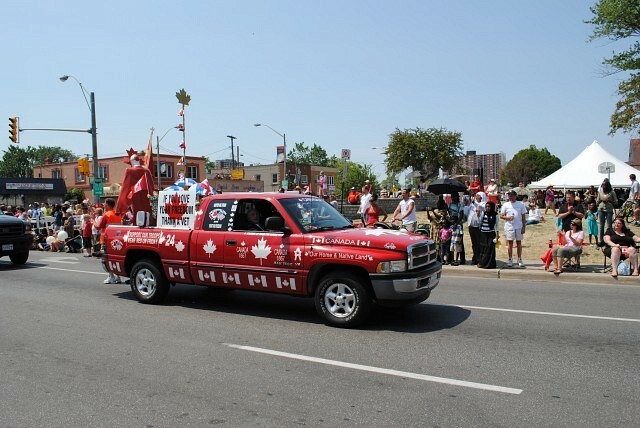 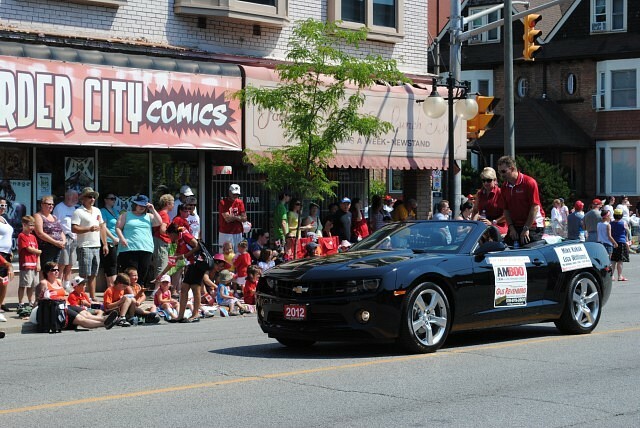 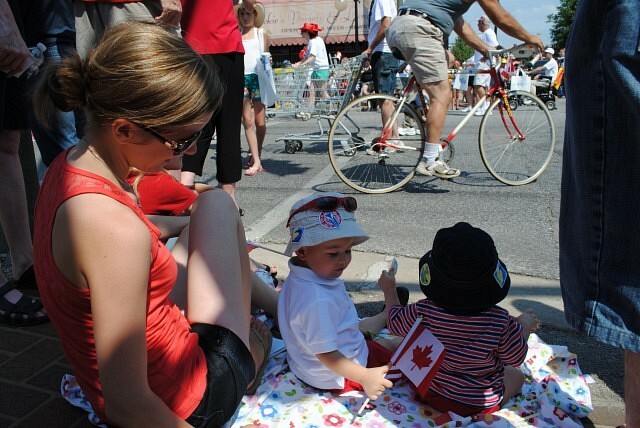 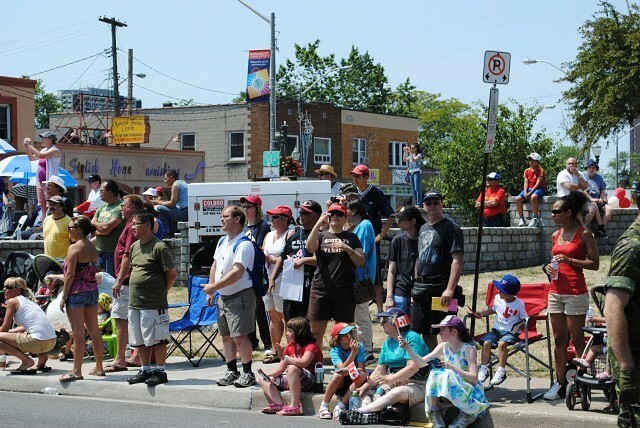 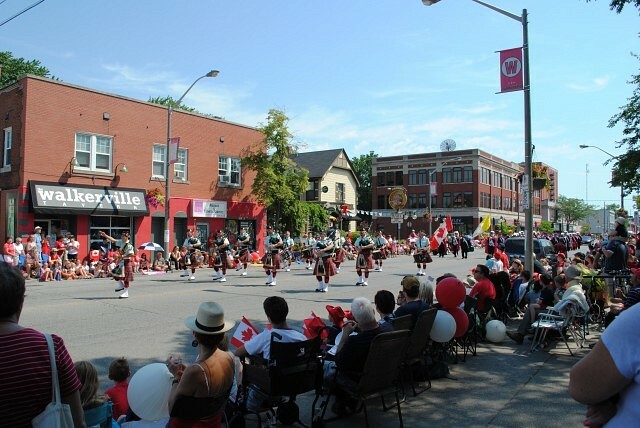 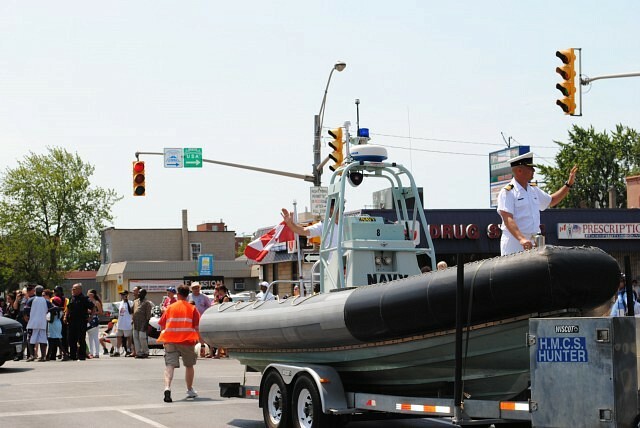 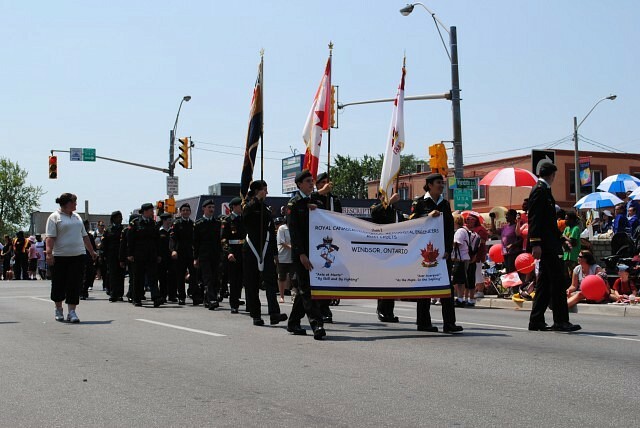 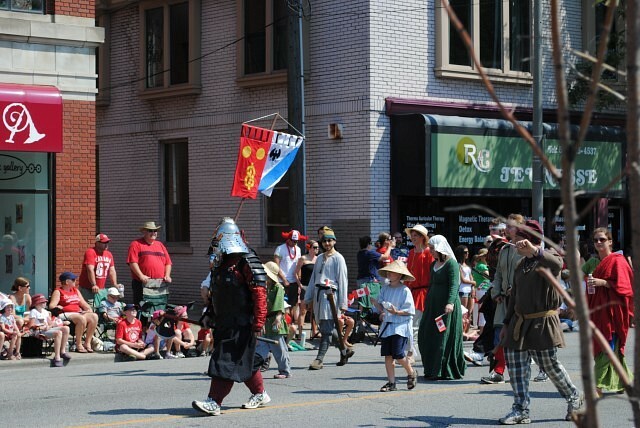 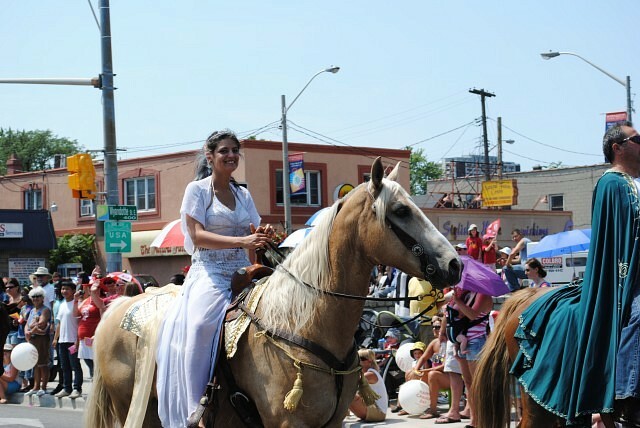 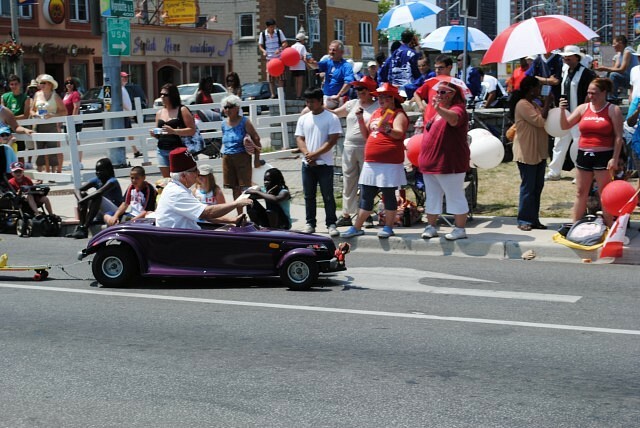 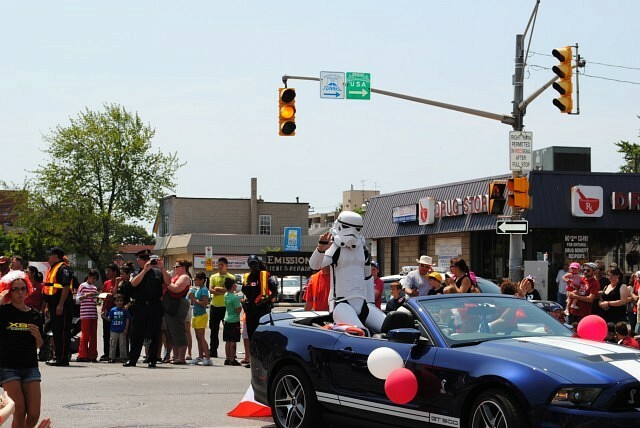 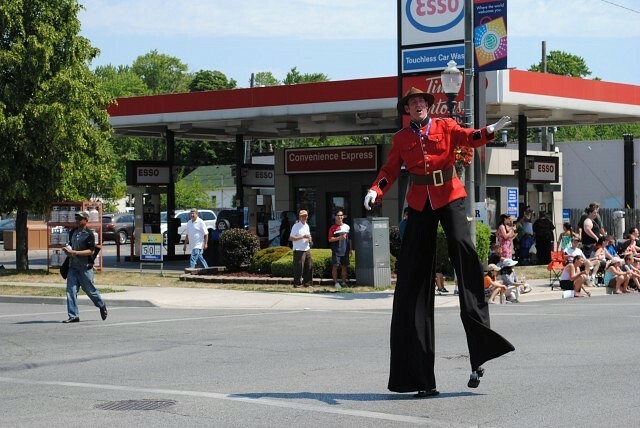 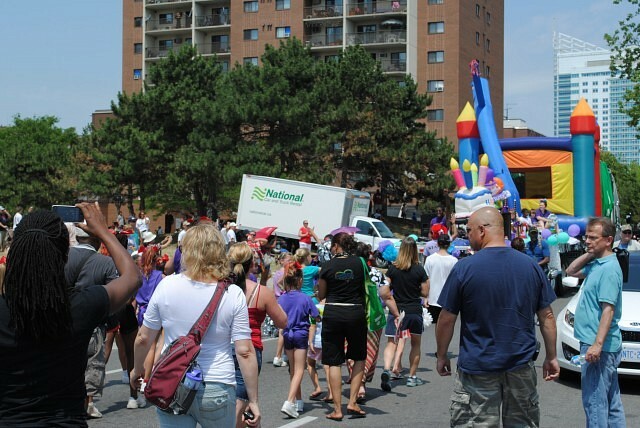 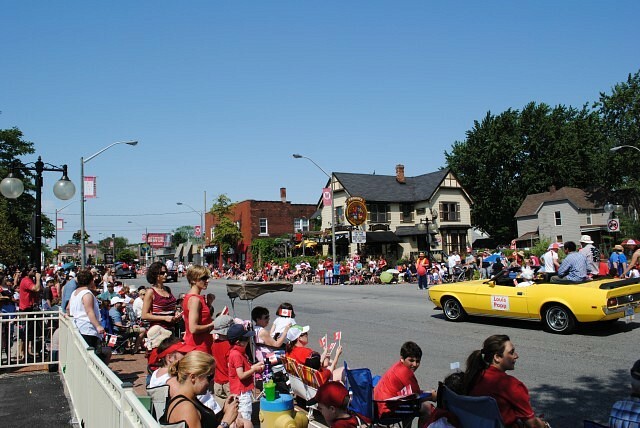 It was a hot Sunday morning in Windsor, but hundreds of Windsorites lined the sidewalks along Wyandotte Street for the Canada Day Parade. 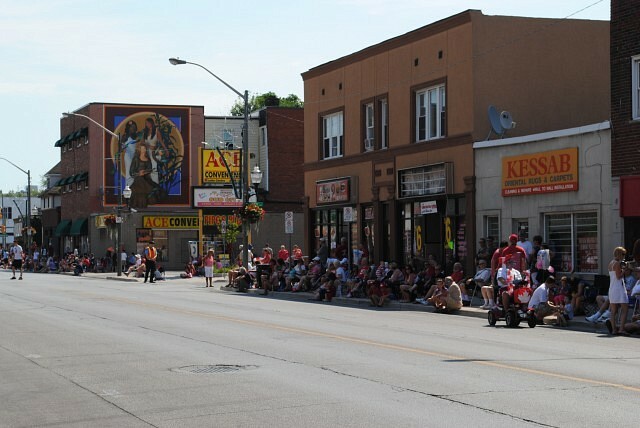 Setting up blankets and chairs – and trying to keep cool in the shade cast by the towering buildings – the crowds were entertained with bagpipes, shriners and dozens of walkers/riders. 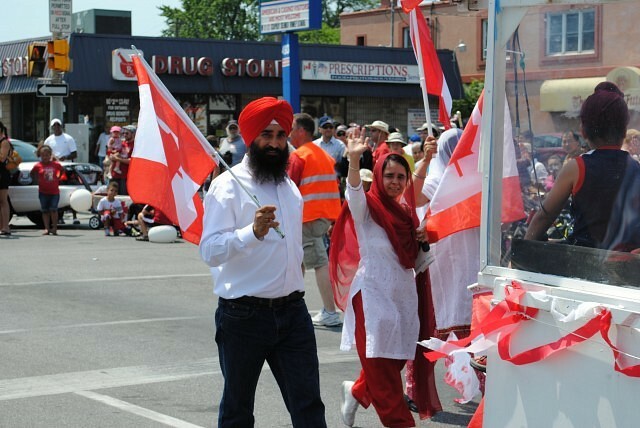 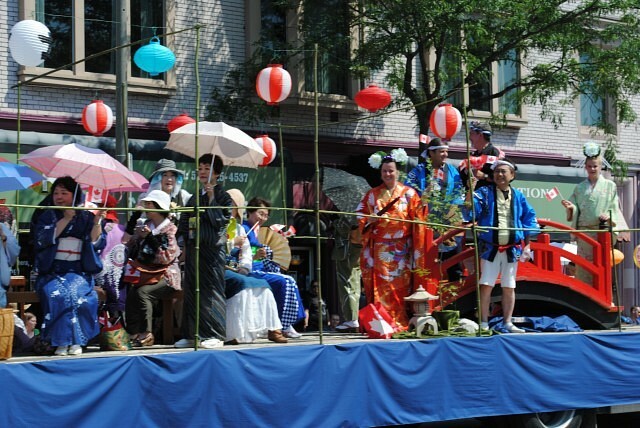 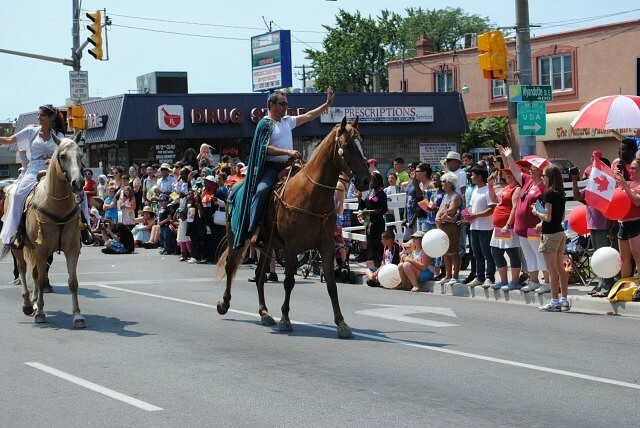 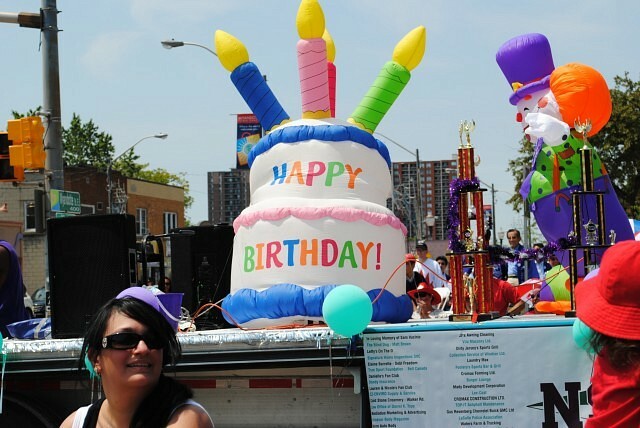 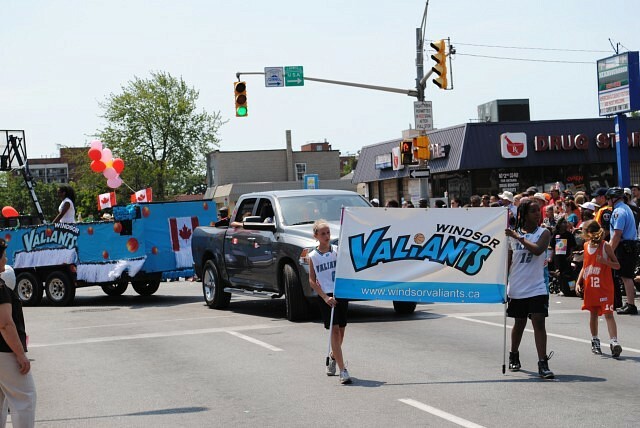 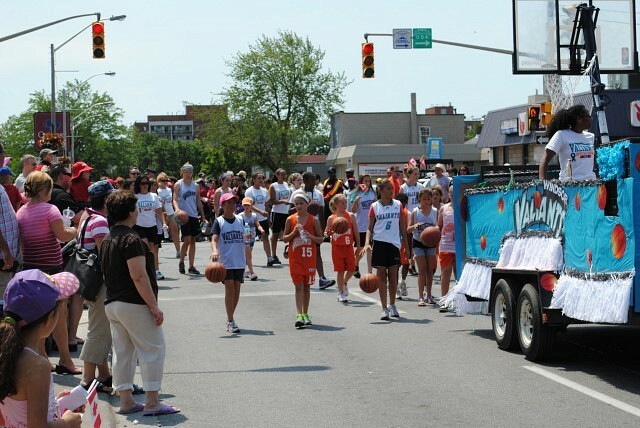 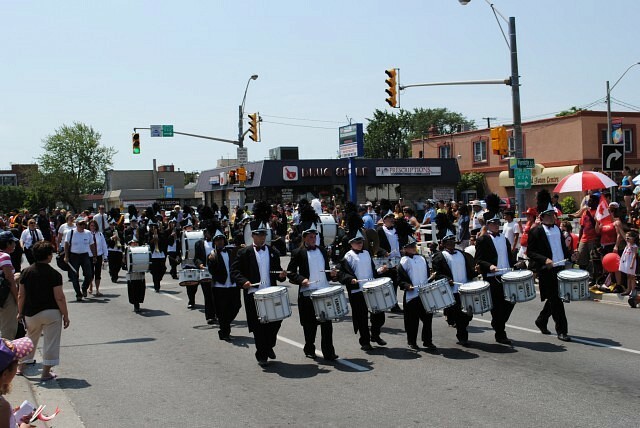 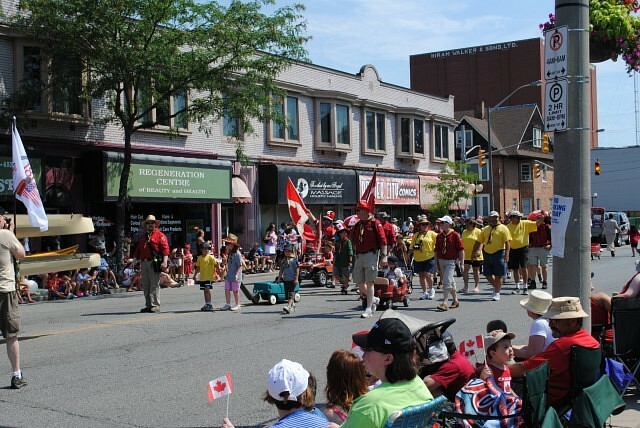 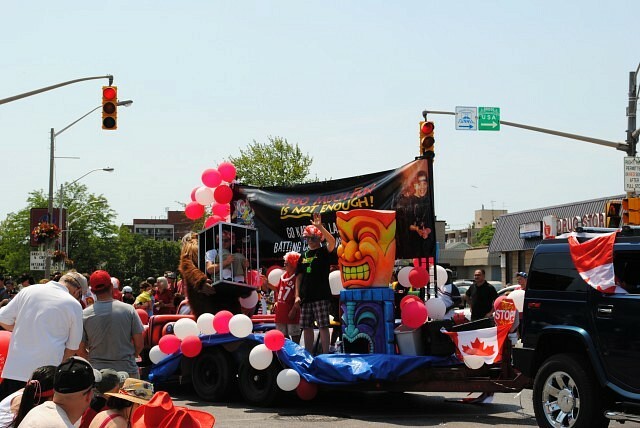 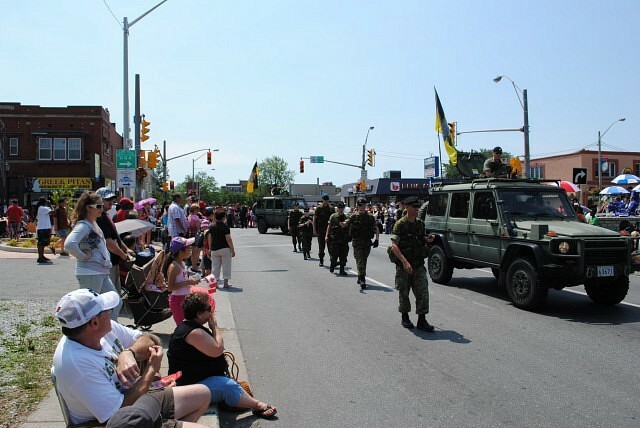 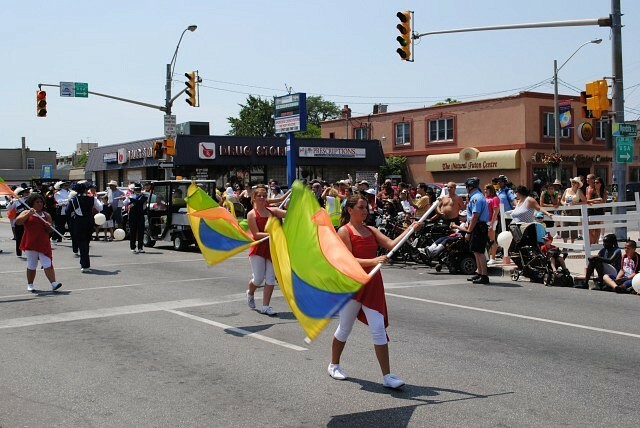 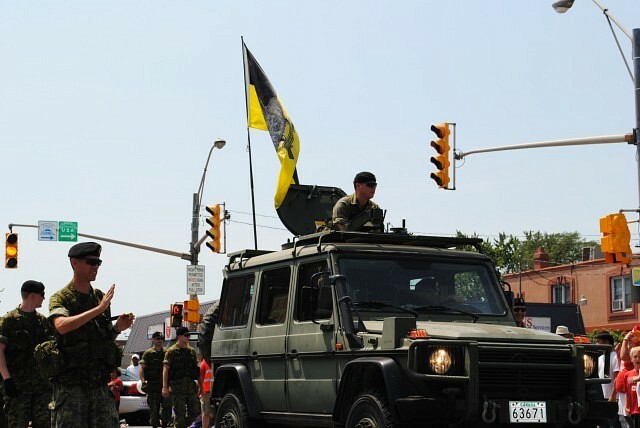 The parade displayed Windsor’s growing culture, featuring a truck carrying members of the Asian community, and another with some of the city’s proud Sikh population. 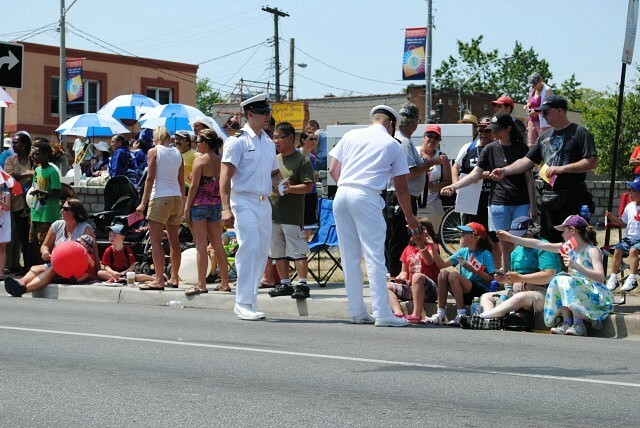 There was also members of the Navy and Army riding through. 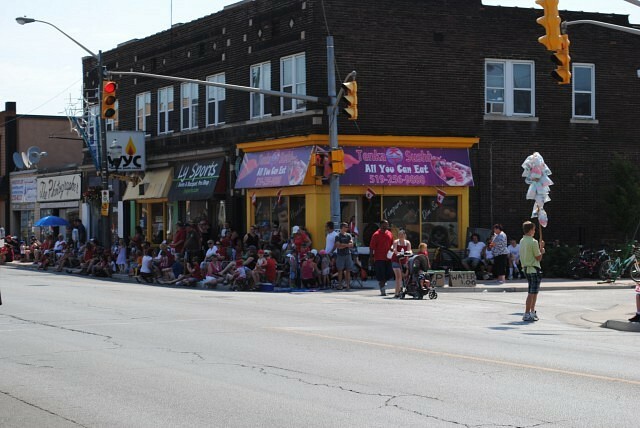 The highlight of the morning/afternoon festivities came at the end of the parade. 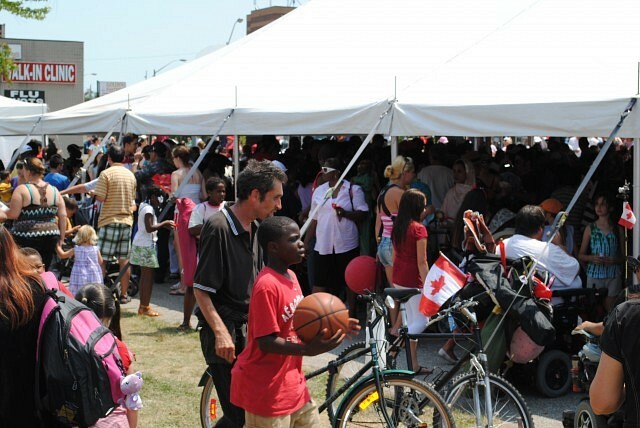 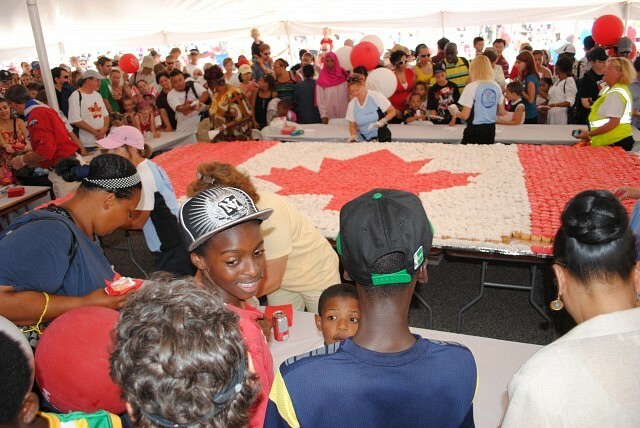 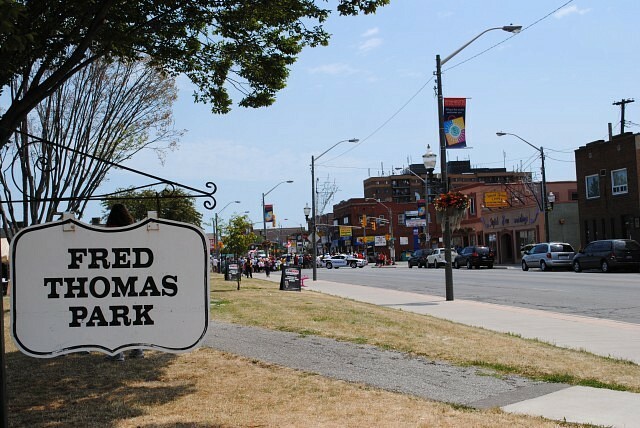 In Fred Thomas Park, many people surrounded the tent for a treat – a giant Canadian flag made entirely of cupcakes. 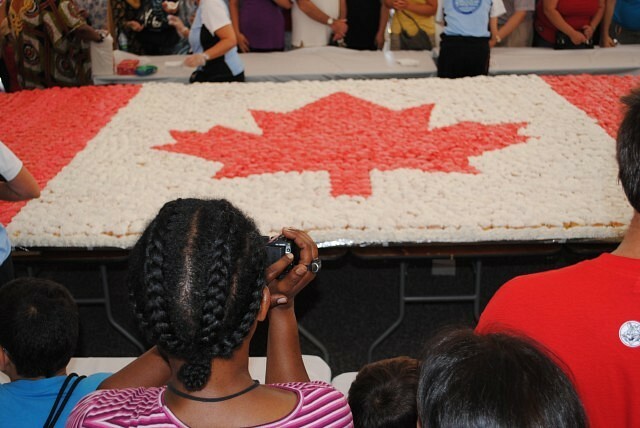 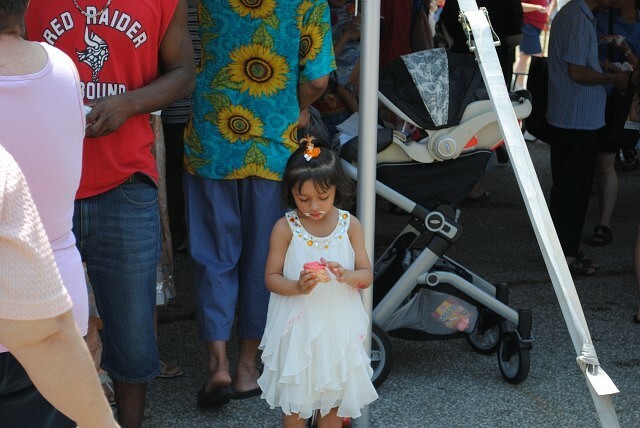 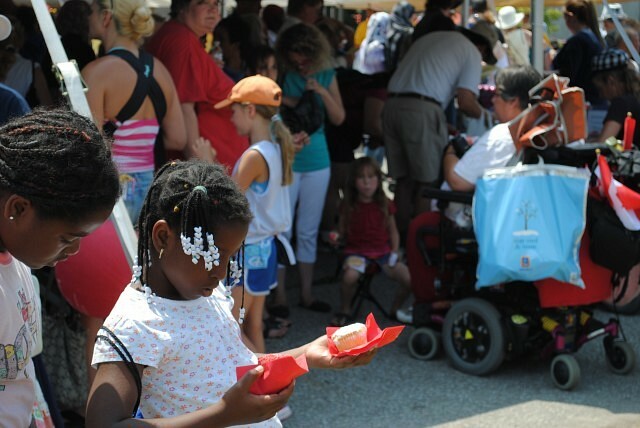 Young and old, everyone enjoyed a piece of Canada’s birthday cake, celebrating as their country turned 145. 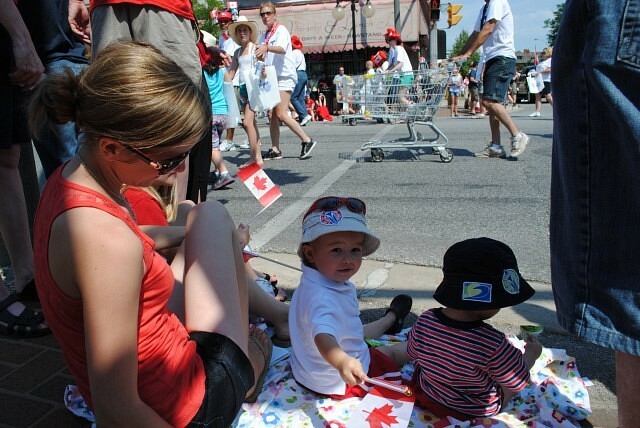 It was a fun-filled day for everyone as they showed how proud they are to be Canadian.